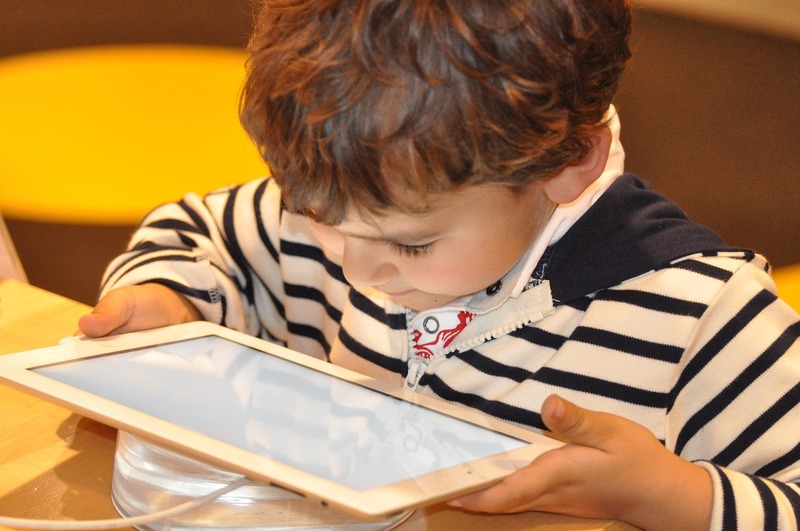 As technology advances, studies have shown tablets help improve learning development and concentration in children when used in proper moderation and supervision. 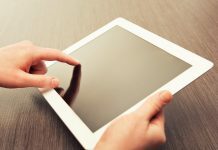 Teachers are beginning to require the use of tablets in the classroom. Shopping for a tablet for your kids can seem daunting. This list will help you narrow down your choices. 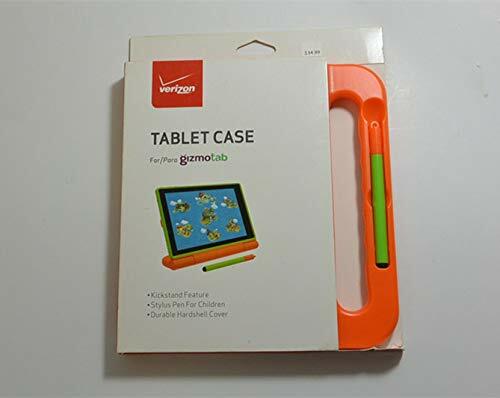 A kid’s tablet is a tablet geared towards children. 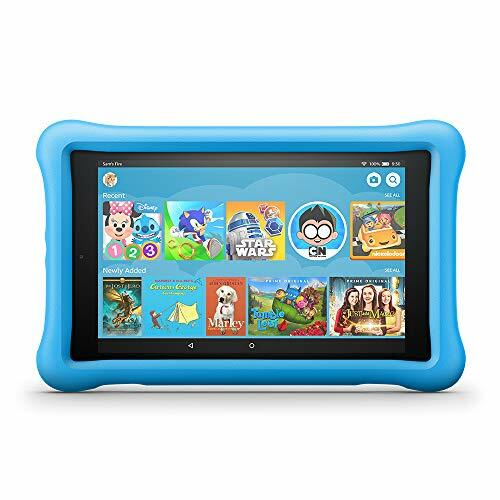 The ideal kid’s tablet will help with education and development while also providing age-appropriate entertainment. You can buy one at any large department store or online. 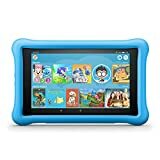 The best kid’s tablets will be affordable for the parent, so they usually run anywhere between $50-$200, with tablets ideal for older kids costing $200-$350. This is a hands-free review. We put in hours of thorough research and take both expert and consumer opinions into consideration to provide you with an accurate, unbiased review. 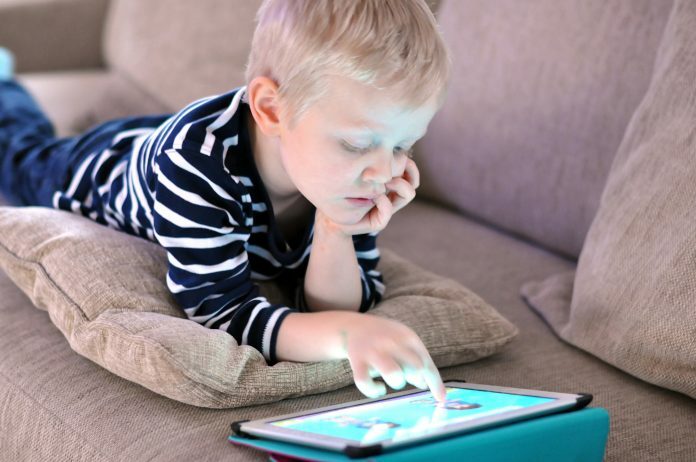 Tablets made for young children will likely be less than $200. Tablets that are suitable for older kids will cost a bit more and have more features. Here are the top 10 tablets for kids. Amazon dominates the list, taking the first 3 spots. The best feature of all of the kid’s Fire tablets is its free two-year warranty that covers accidental damage. It also offers a free one-year subscription to Amazon FreeTime Unlimited. Price Range $80 to $120 on Amazon. All Fire kid’s tablets come with a 2-year accidental damage, no questions asked warranty. 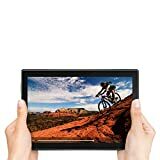 Keep an eye out on Amazon around holidays because they often have deals around those times. Much like the Fire HD 8, the two-year warranty and the free year of FreeTime Unlimited subscription are included. The main difference between the two is the screen resolution. If the camera and processor were updated, this tablet may take the number one spot just for the price alone. Price Range $70 to $100 on Amazon. The kid’s edition of the Fire HD 10 is expensive for a child-focused tablet, but the standard version will be great for older kids. It takes away the 2-year warranty and FreeTime Unlimited options, though the FreeTime subscription can be purchased for only $3 a month. This is a tablet parents can enjoy as well when the kids aren’t using it or have gone off to bed. Price Range $100 to $200 on Amazon. 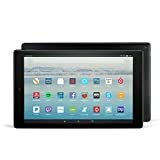 Amazon currently offers a refurbished option. The top choice for teens, your kids can enjoy social media and apps to help with school projects found on Apple’s huge market. 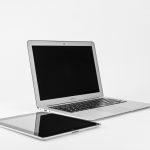 Parents can use restrictions for limited parental control, but other apps can be downloaded that will strengthen security options. It supports the Apple Pencil, but it costs a whopping $100 extra. You likely won’t find it for less than $330 right now. You can buy directly from Apple or Amazon. One-year limited warranty with the option for a 2-year AppleCare agreement for $70. Amazon currently has an open-box iPad for about $300. As your child gets older, he or she will want to show more responsibility with technology, and the Zenpad 3S 10 is a good option for that. Unlike the Amazon Fire tablets, it supports full Android marketplace and Google Play Store. It will, however, take a little more time to set up as you create individual profiles and download parental control apps. Price Range $290 to $350 on Amazon. Amazon offers the Zenpad, a screen protector, and a folio-style case for $315. Geared toward younger children, the Epic has an amazingly tough build to survive most accidents. 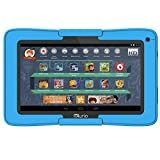 The tablet adjusts difficulty based on your children’s learning capabilities to push and challenge them where necessary. Price Range $90 to $150 on Amazon. If you can wait until the holidays, Leapfrog often offers discounts. This tablet can easily turn into a laptop when you attach a Bluetooth keyboard, which can be found for around $30 on Amazon. The best part is that it comes with Microsoft Office already installed so your older kids can write papers. From $150, depending on if you get the Wi-Fi only version or the LTE version. Best Buy has a bundle for $198 that comes with a screen protector and folio-style case. 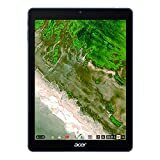 This tablet was designed for the classroom and for educational purposes. It comes with many classroom tools and a stylus. 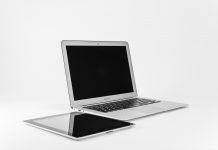 It’s also the first tablet to sport the Google Chrome OS. However, Chrome is awkward on the tablet, and to get full use of it, you’ll need to buy a Bluetooth keyboard. Price Range $330-$350 in Amazon. This is a tablet designed for younger children that actually has an LTE option. This means your kid can use it while on the go when a Wi-Fi connection isn’t an option. It has a fun design and a bright screen. It also sports a decent camera, which is a rarity with kid’s tablets. This tablet has the tightest parental controls of all on the list. $150 with contract on Verizon, $250 without contract. 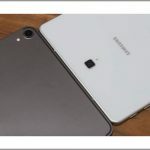 If you’re a Verizon user, you can get the tablet now and pay it off at only $10 a month added to your bill for 24 months. Packed with over 90 Apps: Ships preloaded with the most popular apps like Cut the Rope Spotify. Includes e-books, educational apps, video streaming apps, and more! 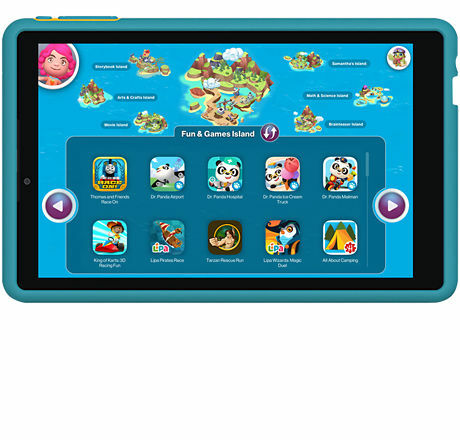 This is a user-friendly tablet with lots of parental control options for young kids. It’s the same size as the Amazon Fire HD 8, but it supports the Google Play Store so you have more app options. Though the Fire is the better option for storage and battery life, the Kurio is the choice to make if Google apps are on your must-have list. Price Range $100 to $150 in Amazon. 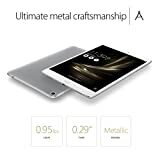 This is a UK-made tablet, so it can only be bought via UK online stores. You can find it on Amazon.co.uk for around $135 USD. Having to buy outside the US, you likely won’t find many deals and discounts you can take advantage of. The tablet you choose will depend heavily on your child’s age, what the tablet offers and how much parental control you desire. For teens, you can’t beat the quality and features of the Apple iPad. 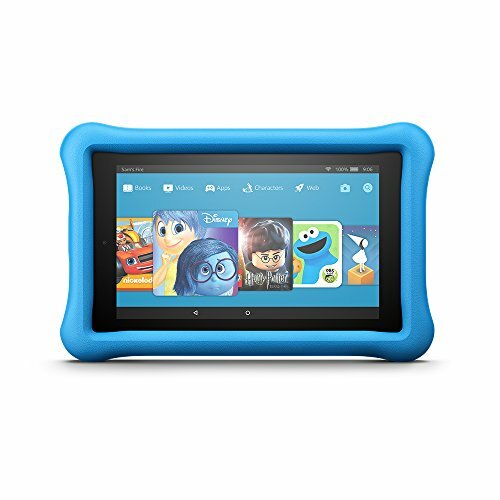 For older kids, the Amazon Fire HD 10 is an excellent choice, while the HD 7 and HD 8 are great for younger kids. For a more simple approach, the Leapfrog Epic Academy Edition will surely satisfy your preschooler. 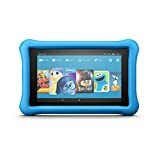 Overall, any of the Amazon Fire tablets will likely be the best choice for you and your children.